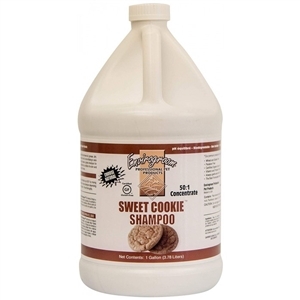 Sweet Cookie Shampoo by Envirogroom is a super deep cleaning shampoo that removes oil, grease, dirt and stains from the coat! 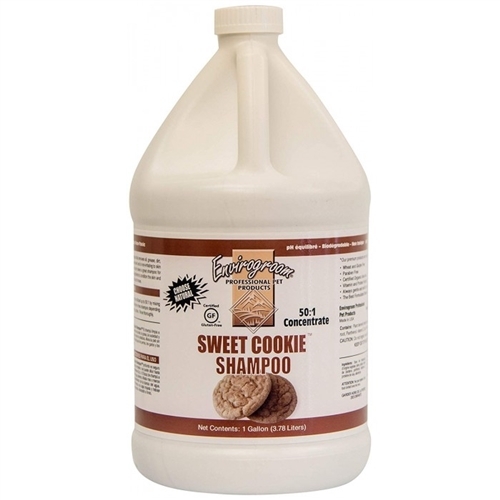 Sweet Cookie Shampoo has a great Holiday themed scent and is non-irritating to skin in both animals and humans. Never drying, soothes the skin and makes a great shampoo for everyday use in a grooming shop. Formulated with natural ingredients to condition the skin and leave coat manageable. Great for dogs, cats, puppies & kittens.